One of my all-time personal favorite portfolio pictures. 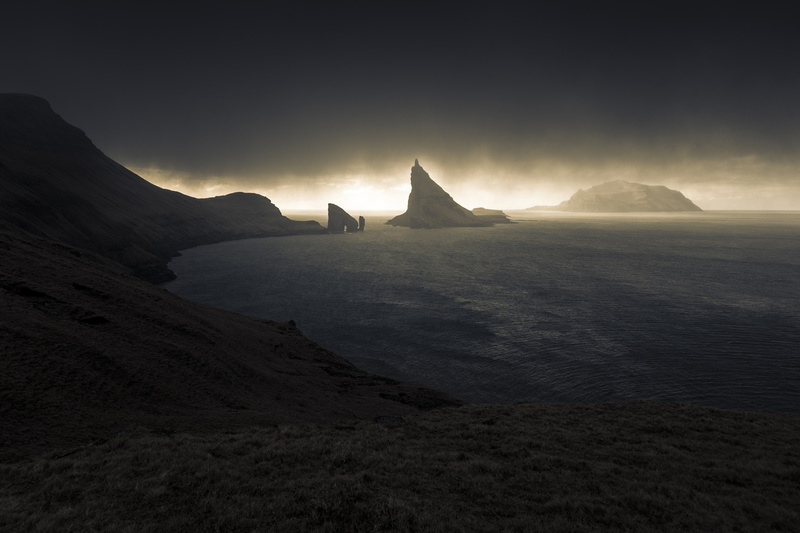 I got this amazing view on our way back from the hike to Drangarnir in the Faroe Islands. A huge cloud of rain, hail and gust winds came out of nowhere and hammered us. But looking back at where we came from I saw this spectacular view of the islands Drangarnir, Tindholmur and Mykines in a narrow line of light from the sunset. Absolutely spectacular! Love the mood! Awesome light. EPIC movie landscape you have taken !